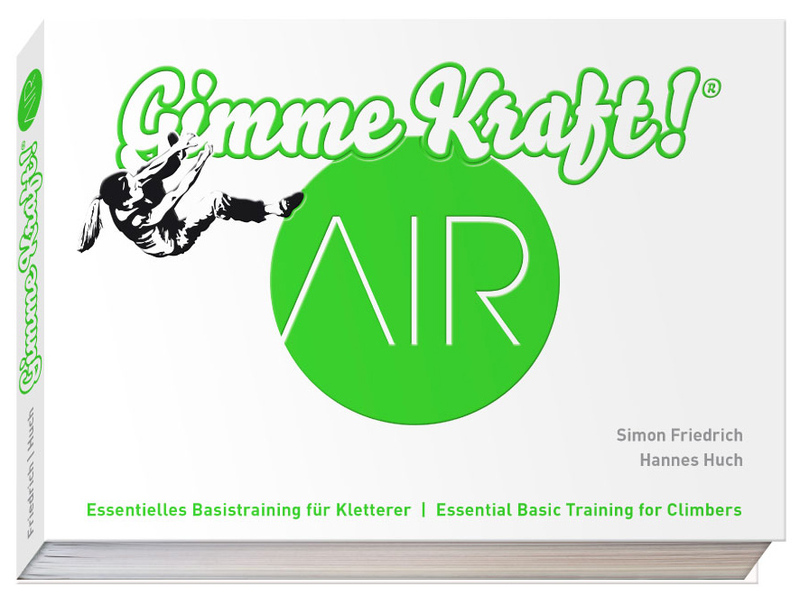 From the home of the Campus Board, Alex Megos, and the breakthrough training book Gimme Kraft! comes an exciting new book Gimme Kraft! AIR. 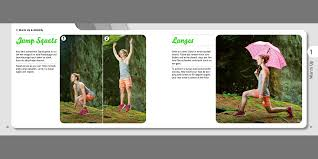 This beautiful photo-filled bilingual text details dozens of body weight exercises for improving mobility, stability, and strength. 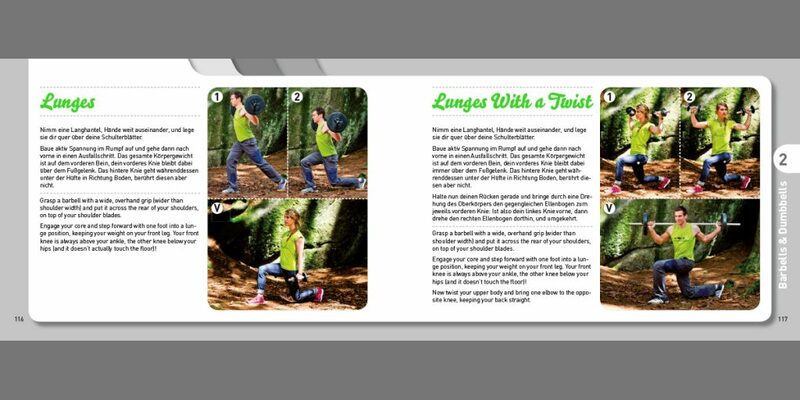 The book also includes sections on basic training with barbells & dumbbells, slingtrainer & rings, and much more. Gimme Kraft! 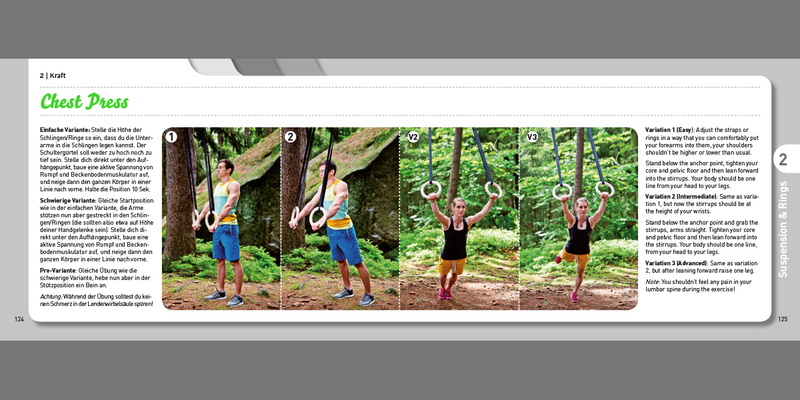 AIR provides an excellent introduction to body weight training for beginner and intermediate climbers, and it’s a diverse must-have collection of innovative supplemental exercises that any training aficionado will appreciate! Mobility. Stability. Strength. Climbing training, trinity is still your name! 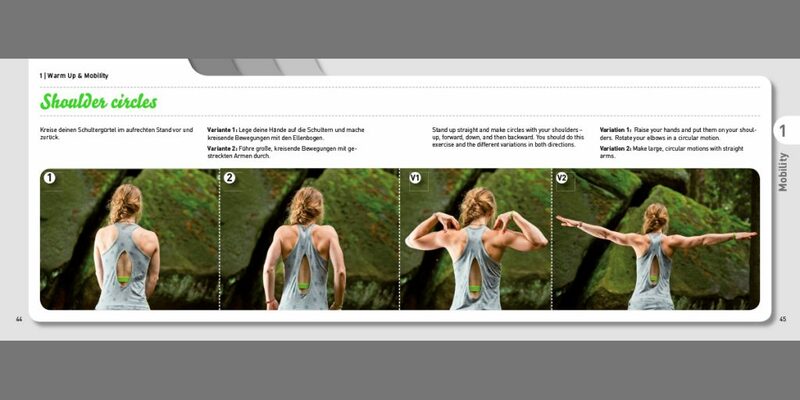 A great leap forward for your entire body on so many levels, making you not only a better climber, but also a more healthy one: Because it’s all about balance and equilibrium. 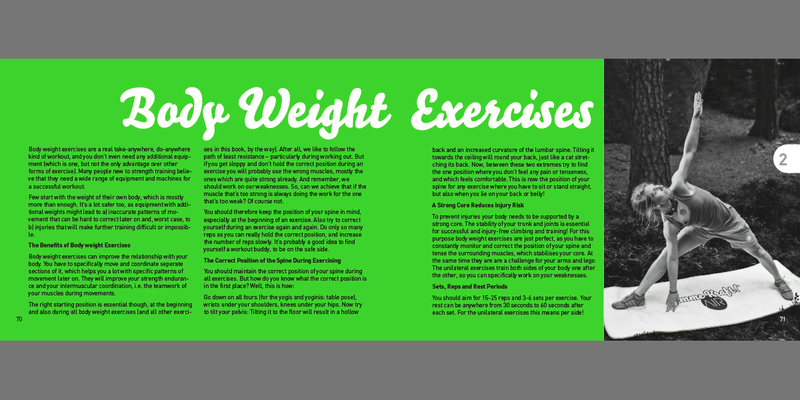 Simon Friedrich presents to you the best training equipment and how to use it – the perfect foundation for you to build your own workout routine, no matter if you’re a newbie or fitness buff. The bonus benefits: Faster recovery, better mobility, less prone to injuries, more success, and more fun climbing. Produced by Hannes Huch, the genius behind the Gimme Kraft! and Café Kraft brands!